On June 3 2017, Californian Alex Honnold climbed El Capitan, the three thousand foot wall of rock that towers above Yosemite National Park, in a little under four hours, without a rope. This was one of the most audacious physical feats attained by any human in history. But Alex’s achievement is not just an act of supreme physical prowess and a performance of awe-inspiring mental fortitude — it is also a watershed moment in the history of outdoor culture. 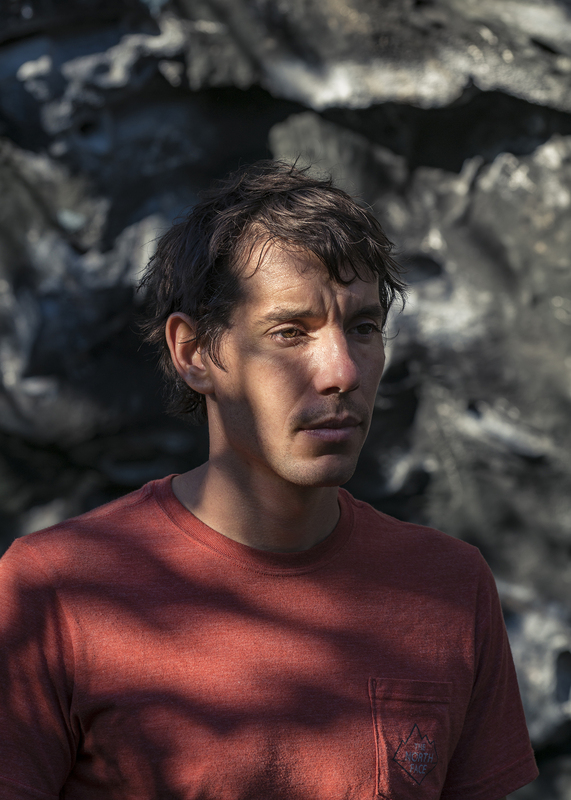 Alex Honnold, at The Castle, London. The story of El Cap’s influence reaches way back to the middle of the 20th century, where a small coterie of outdoors folk — resolutely at odds with the flow of America’s chrome-clad consumerist dream — camped out and attempted to carve out a renewed definition of what was humanly possible. The ragged and iconoclastic American climber Warren Harding captained the team that made the first ascent of the formation in 1958. Harding’s crew led with iron pitons, wool-dyed tactics and a battery of improvised hardware. Though far from minimal in any dimension, this was a groundbreaking achievement in itself and it went on to precipitated more than a half-century of heroics. This culminated in the summer of 1993 when Lynn Hill, one of the greatest rock-monkeys of any gender, climbed El Cap free for the first time in a single day. Though she used only her hands and her feet to climb the wall, she was tethered to a rope, which was hooked into the wall for protection. In the past 24 years, only twenty people have matched Hill’s pioneering effort. I’m feeling pretty stoked out of my gourd,” said Alex Honnold from the top of the Freerider — the El Cap route he had just negotiated in a little under four hours using nothing but shorts, a bag of chalk and a pair of rock shoes. This pared-down feat of skill, strength and bravery, exemplifies the simplicity of Alex’s existence. In 2007 he moved into a Ford Econoline, a long wheelbase cargo van, which allowed him to travel constantly. Beyond his adventures across the American West, Alex climbed all over the world, accomplishing an impressive number of ascents including a free solo of Moonlight Buttress in Zion National Park (a 1200-foot sandstone crack), and the Regular Northwest Face of Half Dome, a 2200-foot line up the iconic Yosemite dome. “You can’t follow the weather if you’re living in a house,” he tells me. Last year, he upgraded to a Dodge Ram Promaster, a cargo van with a slightly longer wheelbase than the Econoline. He also bought a house in Las Vegas, where he has spent less than fifteen percent of his nights since the purchase. After making one of the most impressive ascents in rock climbing history, he’s been on late night talk shows; there’s a high profile movie coming up about his life and his achievement — and numerous other commercial gigs are in the pipeline. 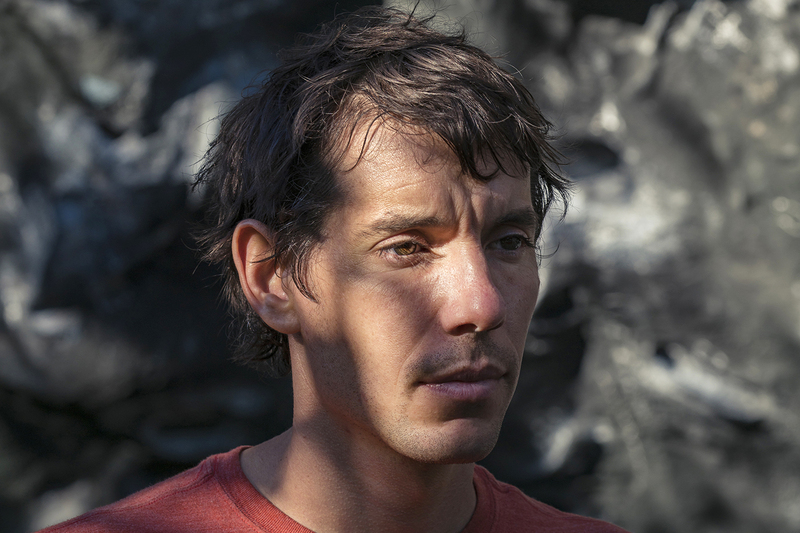 Still, Honnold maintains a monastic sort of existence, travelling in the wagon and climbing constantly. How has living a simple lifestyle afforded you the opportunities to travel? By living in the van I’m constantly moving. Just yesterday, we were going to climb in Wild Iris, Wyoming. We woke up and said, “Aw screw Wild Iris,” so we went to the Goat Cave outside of Jackson instead and climbed at some crag I’d never been to. It makes our drive shorter today to get to the City of Rocks. It’s just the constant migration. I enjoy being able to climb somewhere different all the time. Honestly, I do love the van life, because I’m so used to reaching over and using my pee bottle, or using whatever necessity. I like having everything I need within arm’s reach. It’s a much simpler life. There’s way more privacy. Living in a house there are other folk around, you’re worried about the neighbours, and whatever. In a van, you just do your own thing all the time. Why did you decide to free solo El Cap? I always thought it’d be the raddest thing ever done. It hit the sweet spot between epic challenge and vaguely doable. It’s something to give you purpose in life. The whole fun is to take something that seems impossible and to then realise it’s possible. Then to actually achieve it. Why does anyone do anything? Because they think they can, because it’s inspiring. Plus, certain walls just call out to you. El Cap is the most iconic wall in the world. Every time you drive into Yosemite, it totally dominates your view. When you arrive in the Valley it’s just like, “Whoa, El Cap is the thing to do.” It just cries out. And I’ve soloed every other major formation in Yosemite so El Cap was the obvious next thing. El Cap is such a historic wall. It’s just cool. 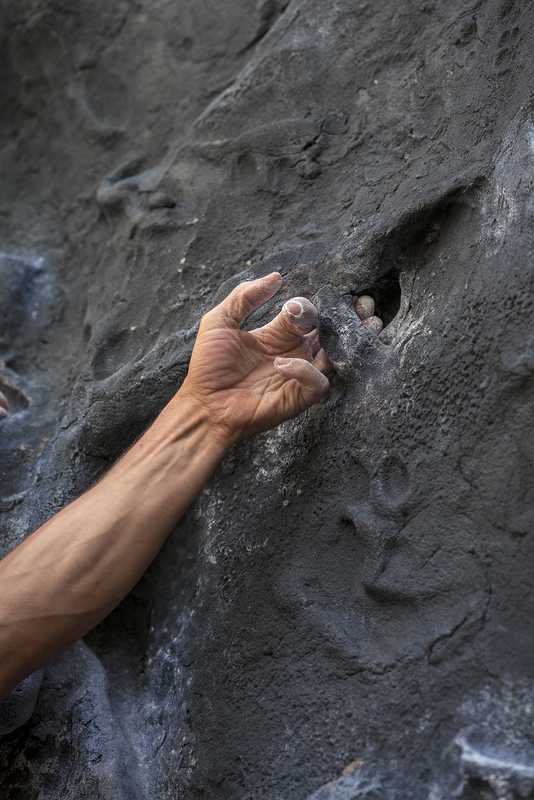 What appeals to you about free soloing? I like the higher stakes, the feeling of mastery, and the fact that free soloing requires a bit more out of you. It’s not like I’m soloing all the time, it’s sort of for special occasions, when I want a different kind of experience. I don’t think free soloing is any worse than plenty of other high consequence behaviours that humans undertake. A lot of people drive drunk, going out partying every weekend. In a lot of ways that’s sketchier than free soloing. You’re not necessarily making clear choices about the risks you’re taking. You’re just kind of doing it and hoping it works out. The thing about soloing is it’s all very intentional. In theory, you’re not getting into anything crazy without foresight. Free soloing makes everything else seem a lot less stressful. The idea of being late for an appointment or something does not matter because at least I’m not gonna die. The idea of missing a flight is not important. Near death experiences really put everything else in life into perspective. You live your life inside of a small white box, a van. Then you walk up to enormous cliffs and climb them with only a pair of shoes and a bit of gymnastic chalk. 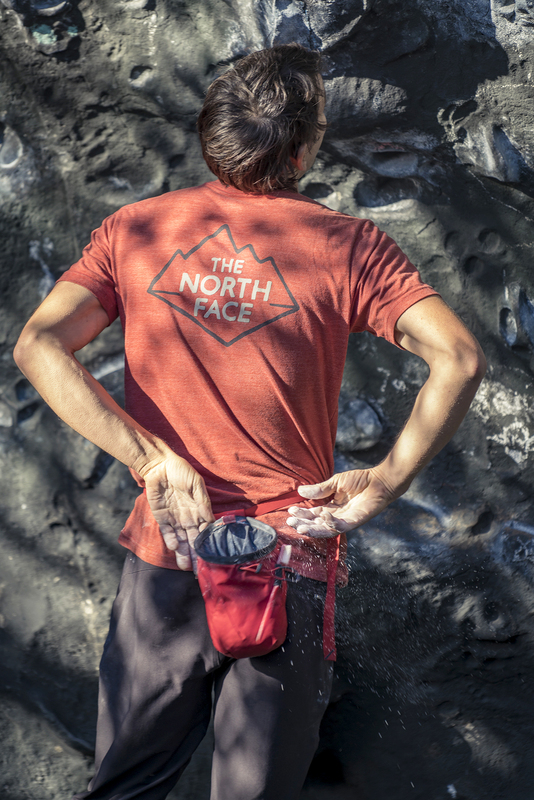 Do you think there’s a connection between that simplicity and your drive to free solo? In general, I’m attracted to simplicity. I’ve never been a gear guy. I’ve never been into lots of stuff. Part of the lifestyle for me is a desire to feel at home anywhere, to be totally comfortable regardless of conditions. The feeling of being whole, of feeling good regardless of where you are, whatever situation you are in, applies to soloing as well. Also, a general attraction to minimalism factors into soloing. I think that soloing is more about the physical and mental challenge. But certainly, not having any junk on you is part of the appeal. It’s like Antoine de Saint-Exupéry said about design, “A designer knows when he has achieved perfection not when there is nothing left to add, but when there is nothing left to take away.” Basically, the simpler something is, the better. Performing delicate moves, hanging on by your fingers thousands of feet off the ground with death just an incorrect finger-move away must be terrifying. Do you ever get scared and how do you deal with it? There’s been tonnes of times I’ve gotten scared soloing. Most of my scary experiences soloing have been more reactive. Something happens unexpectedly. It’s mostly when a hold comes away in your hand. There’s a jolt of adrenaline. I’ve had a handful of times too when I realised I was off route. I’d get that mounting sense of dread. “Oh god, I’m not where I’m supposed to be. Oh god, why are there bolts here? Oh god, why am I climbing on this face?” Just realising I’m totally in the wrong place. That hasn’t happened in a long time because now I know how to read climbing maps. So of course I have experienced lots of fear in my life. When the unexpected takes place or if I think I’m going to fall off, I’ll experience fear like anybody. I think the main way to manage fear is to just not get afraid in the first place, which is through preparation, visualisation, and using all the techniques to make sure you are fully prepared for it. If something unexpected arises and I do get really scared then I have to manage it the same way anyone else does. Take some deep breaths and try to calm down a bit. There’s not a whole lot to do other than just deal. There seems to be a limit to free soloing and when you push over it you’ll die. Currently, you have explored more extended freesolos than anyone else. 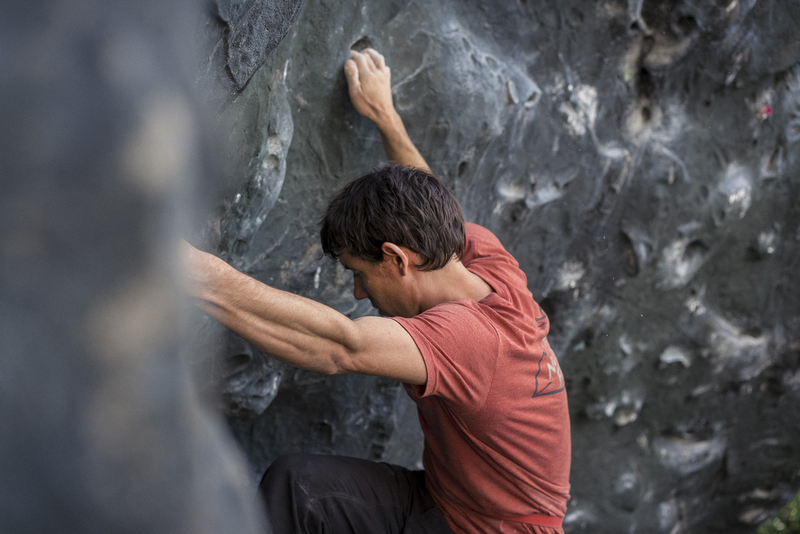 Where do you think this style of climbing will take you? Lastly, will you maintain your dirtbag lifestyle, even as your climbing goals, and your life changes? It’s slowly changing. But I certainly hope to do this ten more years. There’s no way I would get a hotel room for a night. I’ve got a girlfriend now and there’s work stuff here. I hope that when I’m fifty I can still sleep in the dirt and just not care. Ultimately, I really care about the environmental aspect of living really simply, of having a small footprint. That does factor into maintaining a minimalist lifestyle. I care about leaving the Earth in as good of a condition as I found it. That’s a general principle of fairness — not wanting to destroy something given to me. That’s part of the appeal of the simple lifestyle, you’re doing less harm to the Earth.